• Comes complete with safety cables and 4 pole electrical wiring. 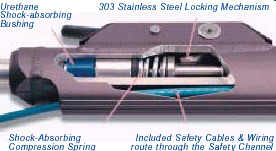 EZ Hook Safety Cables, included with the Sterling™, are stronger and more secure than "S" hooks. 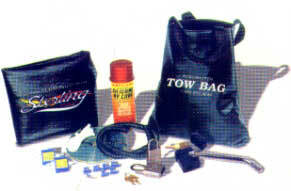 The galvanized steel aircraft cables are vinyl coated to help prevent scratching and chipping of the tow bar surfaces. Drop-forged steel hooks provide greater strength and safety. 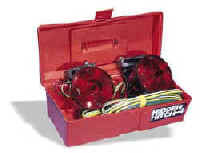 EZ Hook Safety Cables are also available separately for other ROADMASTER tow bars.